Every Friday night after receiving the Shabbat, we sing a song from the 16th century written by Rabbi Shimon Lavi. 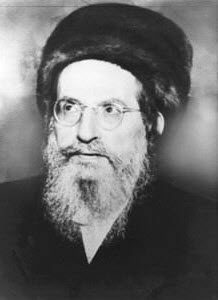 It is full of praises of Rabbi Shimon Bar Yochai. Rabbi Shimon escaped a fight with the Romans who wanted to kill him. He and his son hid in a cave for 12 years and brought us the Tikkunei Zohar that we bring here on the Daily Zohar. The only sword Rabbi Shimon pulled out was the holy names. He knew that to win over negativity from spreading in the world was to remove it at the spiritual level, before it manifested on the physical. The Zohar is one type of sword against negativity and if you are reading this then you already have it. Use your consciousness to activate your sword. Rabbi Yehuda Tzvi Brandwein Daily Zohar #274 - Why Moses didn't speak to the rock?